Over the past few years, mobile point-of-sale (mPOS) systems have become an increasingly more popular alternative to traditional POS solutions. An mPOS system gives you the ability to offer your customers more payment options, quicker service through faster connections, and accept payments from wherever you need. According to a study by Visa® Europe, mPOS systems are becoming an initial step for small businesses wanting to transition from cash-only transactions to accepting credit card payments. If you’re ready to implement an mPOS system, you will be glad to know that you have many different mPOS solutions to choose from. To help you pick the right system for your needs, we present to you seven considerations. Hardware – The hardware consideration is important as it covers everything from the tablet or smart phone you decide to use to the accessory hardware such as card readers and scanners. When choosing the point of sale device that you will be using, you should think first of compatibility. Will it work with the mobile point of sale software that you want to use? It would be terrible to find out that your chosen mPOS system supports only iOS® devices and you have only an Android™ device. Integration with existing systems – Do you have an existing POS system set up? If so, you will need to decide whether your new mPOS system will be independent from your old POS software or if it will in conjunction with it. Some mPOS systems are designed to complement your existing POS system by taking over the processing of transactions. More inclusive mPOS systems on the other hand, can completely replace your old POS system. Training – Whenever you implement a POS or mPOS system, one important consideration is how intuitive or easy to use it is. You will need to train your staff to use the system when you first implement and also whenever you onboard new staff. It is best to choose a system that your staff can easily be acquainted with, preferably one that provides training materials and perhaps instructor assistance. Setup – Some mPOS systems require minimal setup, requiring only the installation of an app and card reader accessory. More complex solutions, however, may require you to set up a local server or more. If you choose to implement an mPOS system that requires a high level of technical expertise to set up, you will need to leverage your in-house IT department or utilize an external vendor. Inventory Management – Does your business have inventory? If so, you should choose an mPOS system that is capable of tracking inventory in addition to payment processing functionality. Some systems are designed to facilitate payment transactions solely and need to be supported by a more comprehensive system. Fees – Similar to credit card transactions conducted on traditional POS systems, there may be processing fees. In addition, there may also be monthly fees and long term contracts. 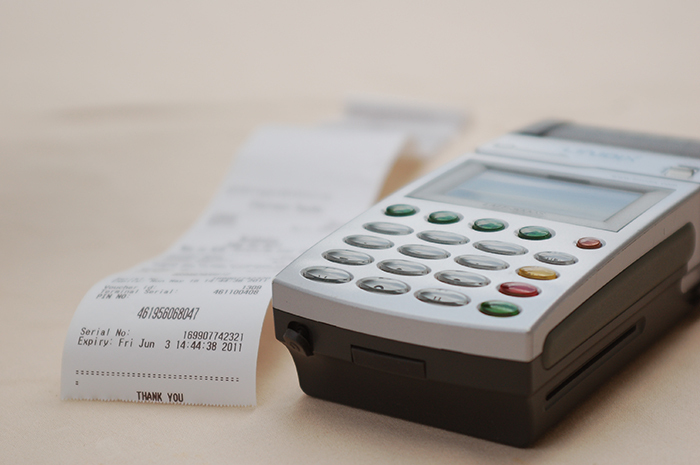 When choosing an mPOS system, be sure to select one that fits your budget. Security – Security should be an important concern for any business that wants to implement a mobile card payment system. Smartphones and tablets used for mPOS can be targeted by hackers that want access to customer data. To safeguard against this, be sure that the device is not running a modified operating system, follow best practices for PCI DSS compliance, exercise caution when browsing sites or downloading apps, and beware of phishing scams. When searching for a mobile POS system to use, be sure to keep the above seven considerations in mind and you will find a solution that fits your needs. Finding the right mPOS system will allow your business to increase its revenue potential and process payments from anywhere.